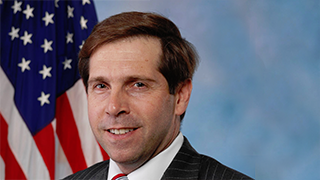 Congressman Chuck Fleischmann is a conservative Republican who represents the 3rd District of Tennessee. The District is made-up of 11 counties: Anderson, Bradley, Campbell, Hamilton, McMinn, Monroe, Morgan, Polk, Roane, Scott and Union. Chuck serves on the Appropriations Committee and within the Committee he serves on three crucial subcommittees: Energy and Water Development, and Related Agencies, Homeland Security, and Labor, Health and Human Services, Education and Related Agencies.